A truly astounding ship is MS Gerard Schmitter. 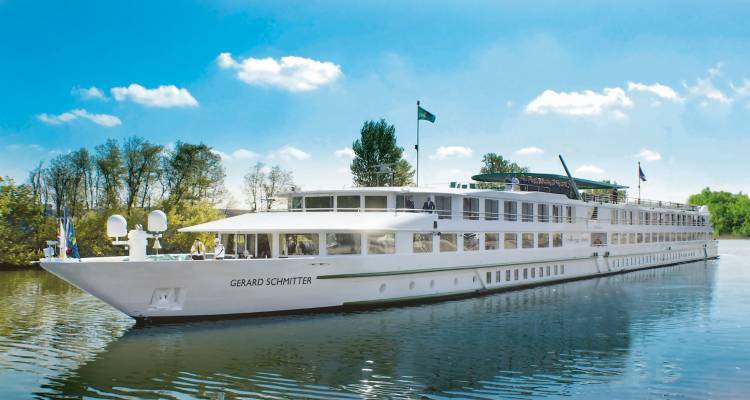 Built in 2012, this is a relatively new asset to CroisiEurope’s fleet and it is also quite impressive in what its dimensions are concerned, too: its 3 decks are put together into 110 m length and 11.04 m width, it holds 88 cabins with a hosting capacity of 176 passengers, perfect for a Rhine river cruising experience. What will make your holiday even better, is the bright and airy design of the ship with a few touches of purple, powder pink and white. It will give you an immediate sense of comfort and coziness. A terrace where you can enjoy the landscape while sipping a cup of coffee or having a glass of wine. Modernly designed dining room that will match anyone’s culinary experiences.